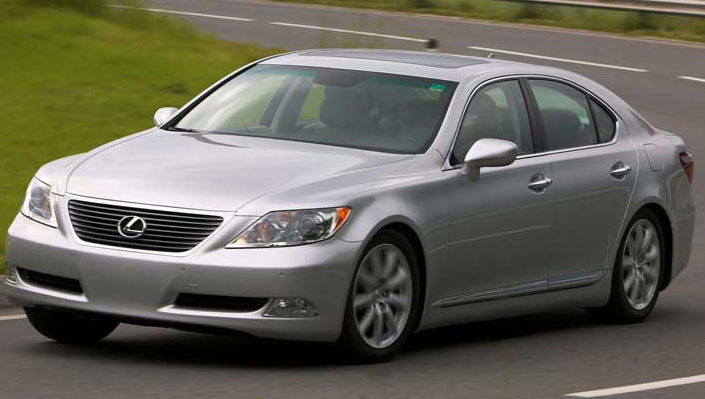 Toyota Motor Corporation, a Japanese automobile giant has planned to introduce its luxury marque Lexus in India by 2013. The news is confirmed on the official word out by Mr. Yukitoshi Funo, Executive Vice President at Toyota Motor Corporation. Based on quite a lot of years of study, the company has decided to launch its brand in India. Mr. Funo said that they have been watching India with fanatical interest and are happy to announce to bring Lexus in India in 2013. From long and slow drawn out evaluation to ultimately corroborating that Lexus will come to India, the parent company Toyota Motor Corporation has signalled its intent to take on three German luxury car manufacturers at their own game. Toyota Motor Corporation is at present moving to work out details on introduction date, dedicated sales network, relevant models and operations with Toyota Kirloskar Motor Limited, its Indian associate to meet an early 2013 date for introducing this iconic marque. The Lexus brand was established in the year 1989 by Toyota and for much of its 20 years plus it has focused mainly in United States. It only came to Europe in the first half of last decade. The brand was introduced to Japan just about 2 years ago, favouring to make this brand an appeal and character of its own. With Lexus marque being introduced, Toyota Motor Corporation will have plenty in store to provide the luxury car enthusiasts in India. At present, Lexus is having plethora of premium luxury sedans and mostly sport utility vehicles for competing with Audi Q5 and Q7, BMW X5 and X6. Establishing dealership and service centers will be carefully done by Toyota. As premium brand won’t require top quality customer support or service centers. The company will provide dealership rights to perform car dealers in India. They would prefer some quality dealerships than plenty of mediocre outlets. The company is quite keen to differentiate itself from German automobile manufacturing companies, including BMW, Volkswagen and Audi. Toyota Motor Corporation has well constructed plans to introduce its Lexus models in India. The first models to be launched in India will be RX Sport Utility Vehicle and LS Sedan, while GS executive luxury sedan will follow it. The GS is designed to compete with the Mercedes Benz E-Class. One of the most important concerns for Lexus is the unavailability of diesel powertrain options in any of its sport utility vehicles, saloons and hatchbacks. By 2013 output at its two units at Bidadi near Bangalore will be enhanced to 310,000 cars. Besides these models, the Fortuner SUV will feature automatic transmission for 2012 model year, the 2012 Innova will be redesigned and the Camry, which is at present marketed under CBU route, will now be designed in India using CKD approach.